This week’s Belfast Travels is a bit of a special one because this weekend I celebrated my engagement! Barry popped the question on Saturday which was a complete shock but totally amazing! I didn’t expect it, so what was a normal day turned into an absolutely overwhelming one. No doubt the next few weeks and months will be spent looking at venues and dresses, rather than eating out and weekends away! So apart from the engagement, on Saturday I did manage to do a few ‘normal’ Belfast Travels activities- including visiting the Belfast City Hall Christmas light switch on, a visit to Pizza Works pizzeria in north Belfast and back into the city centre for the Beer and Cider Festival in Ulster Hall! I hadn’t been to the Christmas lights for many years so I was happy when I was able to secure a few tickets online. Myself and Eileen headed down on Saturday evening to see Cool FM, The Lord Mayor Nichola Mallon and, of course, not forgetting, Holly and Ben (of the ‘Little Kindgom’ fame) count down to Christmas. The streets were packed and it was great to see so many families enjoying themselves! We then headed up to Pizza Works in north Belfast where we had some pizza and bubbly to celebrate! (The best combination!) It’s a lovely BYO restaurant at Fortwilliam where I also celebrated my 30th birthday! 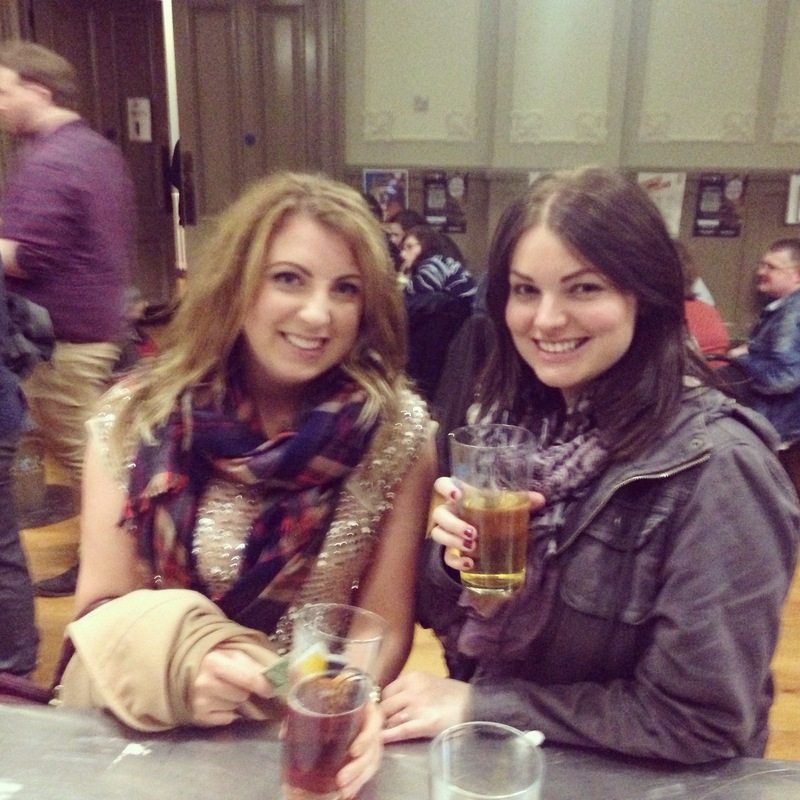 Finally we went back into town for the Beer and Cider Festival at Ulster Hall. It’s an event I’ve been to for the last few years and is always great craic. You pay £6 in and get a beer glass and tokens. You then use those half pint or full pint tokens to try the different beers and ciders on offer. The list is extensive, from Armagh cider, Belfast Ale and Hilden Irish Stout, to name a few! A great weekend, with some real surprises!